This mailbox is for the past three weeks. I loved Robin Mellom's YA debut Ditched enough to auto-read whatever she writes next, and that appears to be a MG comedy! I'm really looking forward to reading more of Robin's humor. 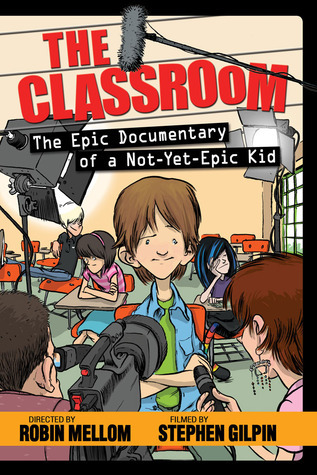 Even better, The Classroom stars a boy narrator! There's also a "proud neurotic, in a color-coding sort of way," which, as a proud color-coding neurotic myself, pretty much seals the deal for me. 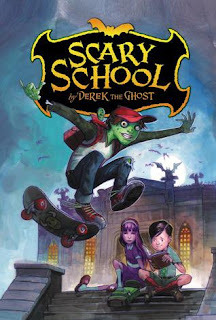 I totally shouldn't have requested it (I have a...*cough*...somewhat lengthy review list), but I've been pining over this MG book for SO long! Ever since my elementary school project on Lewis and Clark (which I ROCKED), I've had a soft spot for the exploring duo. Add in ghosts, maps, and a quest and is it any wonder I crossed my No More Requests line? I loved the "magic doesn't affect her" spell in The Wide-Awake Princess, so my ears perked up as soon as I saw that main character Abby is similarly unaffected by enchantments. Also, some people whose opinions I value have had convincingly positive reactions so far, so I'm game. 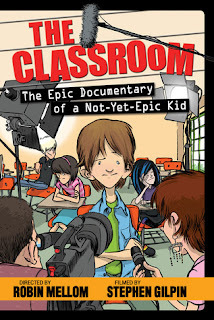 This is another MG book. I was pretty resistant to this book for a while. Why? I don't know. It just felt...ok, I'll admit my complete and utter shallowness and say out loud that my brain went "Meh" as soon as I realized this was a book about the bonds of friendship between two women. Where's the swoon in that?! Also, I'm kinda WWII-ed out. I'm totally into historical fiction...right up until around the 1920s, and then my yawns start kicking in (which makes little sense since I'm all over historical NON-fiction about 1920s+). BUT, have you seen the early reviews coming in about this book?! Holy moly they make it sound like Something Special, and I don't want to miss out on that. Do I need to explain further? Let's just say there's a spot on the Special Shelf already reserved and I'd bet big bucks that it'll be filled by this hot little number. I'm not really one for bosom-oogling, but isn't that cover pretty? 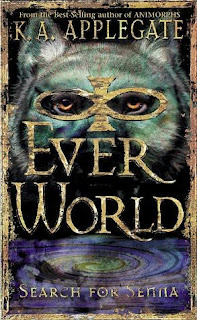 Susanne Dunlap's covers never fail to make me want to read her books. So why haven't I read one yet? I don't know. I'll remedy that soon, I promise. This sounds like The Breakfast Club meets the end of the world! I love books like this! The idea of being trapped in a superstore and having to defend my fort and fight for survival is sort of a fantasy of mine (in that I don't actually want this to happen but it's really cool to imagine sort of way). Ok, I started this and then I DNF-ed about halfway through (and I'll explain why in a few weeks). But Leanna from Daisy Chain Book Reviews liked it a lot, so you might want to check out her review before taking my DNF too seriously. 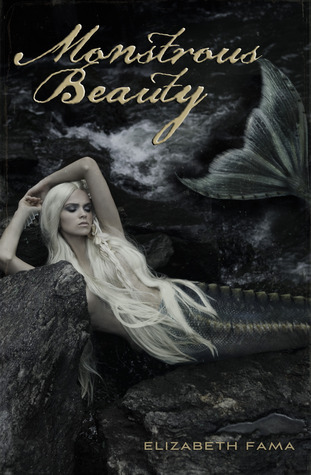 I like my mermaid stories to be uplifting and fun with sparkles and singing crabs, but Monstrous Beauty doesn't look very light-hearted, does it? It looks more like the luring sailors to their deaths via crashing waves and jagged rocks kind of mermaid tale. So why did I request it from NetGalley? BECAUSE IT'S GOTHIC FICTION! Or at least it sure sounds like it fits the genre. A generational curse, strange deaths, family secrets, unraveling historical mysteries, romance, oh my! This one is from Shelf Awareness. I snagged an ARC of this author's first book, but I still haven't read it and I think it's actually at my mother's house. This second book looks equally interesting with it's Gothic-mysteries-meets-the-Titanic plot. I'm pretty sure this is an adult book. I was pitched a review request by the author and after reading the blurb, I couldn't say no. 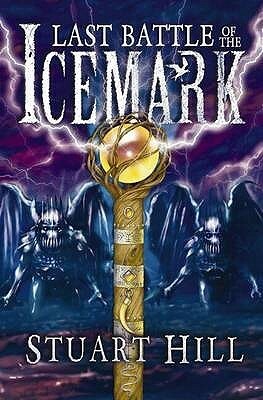 It sounds like a sweet MG paranormal with a good dose of humor. The illustrations are an added bonus. This book has the distinction of being the first book I bought in Austin! (or, more accurately, Round Rock). I finished the book I brought with me, and while I had loaded up my computer with a bunch of galleys, I wanted an actual physical book to read when I wasn't sitting in my hotel room. I went to The Book Spot, which is awesome (she has dogs in there!) and restrained myself (mostly) in the face of a TON of tempting books. 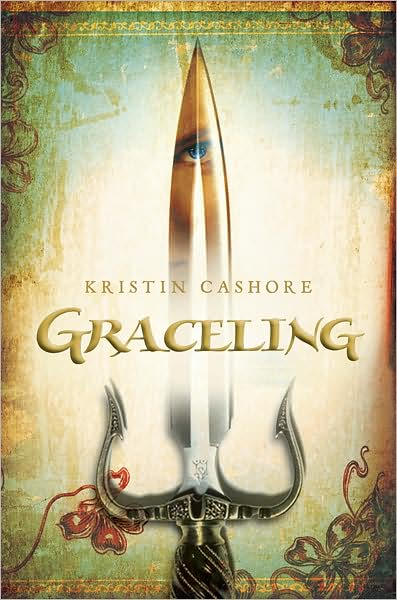 I ended up picking Graceling because 1) It was on sale!, 2) I've been meaning to read it for forever, and 3) It was long and a standalone so I figured it would hold me for a while and wouldn't leave me ripping out my hair to find out what would happen next. Mission accomplished on all counts and review to come. I am so desperately in love with this series! I own most of the books, but I was missing three and they are out of print so I was sort of despairing about ever getting a complete set. The Book Spot gets my eternal gratitude for carrying two of the three books I was missing! Yay! Bonus: They're in pristine condition. 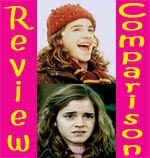 I read the first book (hmm...still haven't gotten around to posting that review. Sorry! Will do, erm, sometime), and I liked it well enough to pick up this book (third in the series) when I saw it on sale for fifty cents. Mine is missing the dust jacket, but given that cover, I'm not too broken up about it. 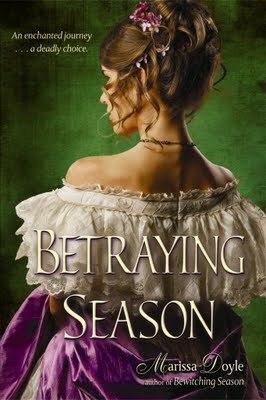 The first book in the series (Bewitching Season) is one of my favorites, and though I've heard the sequel isn't as good, I kinda don't care so long as I can stare at that pretty cover. Plus, I have to prep for the third book, which I'm super excited about! Dude, SMALL, I read Bourne and it was awesome. The Lia/Luca action we've been waiting for... well, I won't say anymore, but oh *SIGH*. I totally begged Lisa for a review copy and I'm so thankful that she forked one over to me. I also read Graceling recently, and while I wish I didn't feel this block emotionwise (which I attribute to the third person narrative) the fantasy and OH, PRINCE PO are both so amazing that it overrides anything else. I can't wait to read Fire, as a friend told me that there are a lot more gray areas to the main character whereas Katsa is more well-defined. Academie! Monstrous Beauty! Monument 14! All books I have and want to jump into immediately, but have to hold off on, sadly. Still, I'm excited! I'm interested in The Mapmaker and the Ghost and Ordinary Magic, as well. They both look wonderful. I used to hate MG books, but I recently read The Star Shard by Frederic S. Durbin and that changed my whole outlook on MGs, so maybe I'll give those aforementioned titles a whirl at some point. Awesome haul Small! I also got Scary School, the Academie, Ordinary Magic and Monstrous Beauty! Can't wait to hear your thoughts on those and the rest. And Bourne! I've actually only read Waterfall (Don't kill me!) but I loved it and really want to continue with the series! Hopefully I'll get around to it sooner rather than later. I look forward to you awesome reviews! 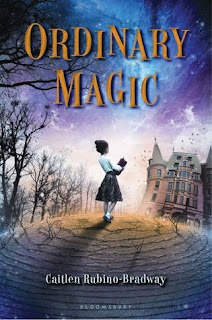 I want to read Ordinary Magic! I saw it on someone's Waiting on Wednesday post months ago and ever since then it's been on my list - it just seems so good! I love the cover, too. It looks so cute! I really like the cover too. Holy Cow - so many great books on your horizon! I hope you love Graceling - it's one of my favorites :) I never thought of it as a standalone, since it's followed by Fire and Bitterblue, they certainly don't make up a "regular" trilogy. Can't wait to see all of your reviews! I snagged ORDINARY MAGIC as well. So excited!! Same with BOURNE! I'm also looking forward to THE ACADEMIE and have been trying really, REALLY hard not to read my copy of MONSTORUS BEAUTY just yet! Ahhhh, you bought GRACELING!!!!!!!!!!!!!!!!!!!!!!!!!!!!!!!!!!!!!!!!!!!!!!!!!!!!!!!!!!!!!!!!!!!!! I'm so so freaking excited and can't wait for your thoughts!! Oh gosh, EVERWORLD! I want to re-read these! I received an ARC of the Katherine Howe book a few weeks ago. I haven't read her other one yet, but this one sounds really interesting! So far I've seen mixed reviews for The Academie. I've been pretty excited about it; hopefully it'll be good. ♥ Exploring duos make my heart all aflutter. Yay! Mapmaker and Ordinary Magic look soo good. I look forward to your reviews. Amazing books this week, and I can't wait to read your review of Graceling! And the mermaid story looks interesting too. Ordinary Magic looks so good!!! And I snagged a copy of The House of Velvet and Glass by Katherine Howe. I too have her 1st (I bought it with a million other books when Borders was going out of business!) Hope to get to them soon! I really, really want to read Code Name Verity! But I will not request it from NetGalley, no I will NOT! Betraying Season was definitely a gift. I was weeding through my books for the move and decided that it didn't make the pack-up-an-come-with list, but I could NOT give it away to anyone but my fellow Princess. Enjoy! Oooh, you got some really great books! I really want to read Monument 14, The Book of Blood and Shadow, and Graceling! I'm glad to see you're back! My husband works for Dell, and we'll most likely be moving to Austin sometime in the future (or Round Rock, actually). And if you haven't gone already, you MUST go to BookPeople in Austin. It's the most awesome independent book store I've ever been in (although I'm sure there are some super fantastic ones in NY!). Very cool! If you moved to Round Rock, we'd be RIGHT next door! We will definitely have to meet up. :) I hadn't gone to BookPeople yet, but I'll add it on my list of places I must go :) Thanks! 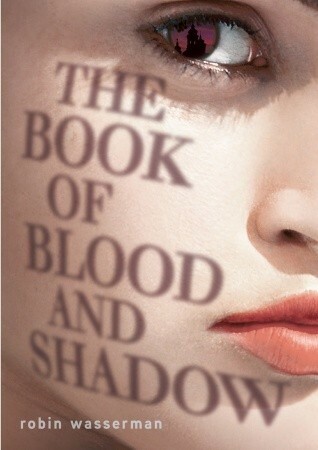 :D I did not love Book of Blood and Shadow though :( Hopefully you will love it! So jealous you got Code Name Verity; I requested it but was denied as I'm "only" a blogger. It looks so good and I hope my library will either buy it or I'll loosen my purse strings so I can get a copy. 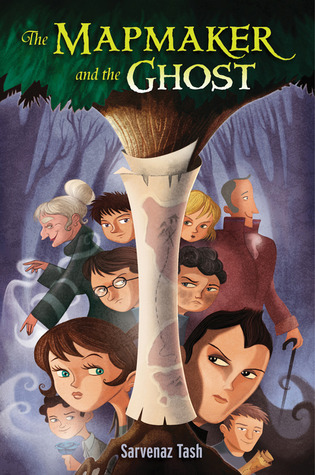 Thanks for highlighting The Mapmaker and the Ghost-I just went and requested it since you're so excited about it. I didn't really love the cover but the inside could be really good! Code Name Verity sounds like your kind of book. It's a shame Disney isn't giving to "only" bloggers anymore. The Academie and Graceling look great! Don't they? They have such pretty covers! I liked Graceling and I'm hoping I like The Academie. I love love love love looooove this mailbox Small!! :D The Academie was...good. 3 stars for me. I'll be interested to hear your thoughts. I'M SO EXCITED ABOUT ORDINARY MAGIC!!!!!!! I'm seriously such a fangirl for that book. I want to buy three copies on release day (one for me and my two sisters) and then do a giveaway...not that I can afford that, but that's my dream. It's just ridiculously cute. Monument 14 looks awesome!! I can't wait to read your review for that, Graceling, and Betraying Season. ALSO.... BOURNEBOURNEBOURNEBOURNEBOURNEBOURNEBOURNEBOURNEBOURNEBOURNEBOURNEBOURNEBOURNEBOURNEBOURNEBOURNEBOURNEBOURNEBOURNEBOURNEBOURNEBOURNEBOURNEBOURNEBOURNEBOURNEBOURNEBOURNEBOURNE!!!!!!!!!!!!!!!!!!!!!!!!!!!!!!!!!!!!!!!!!!!!!!!!!!!!!!!!!!!!!!!!!!!!!!!!!!!!!!!!!!!!!!!!!!!!!!!!!!!!!!!!!!!!!!!!!!!!!!!!!!!!!!!!!!!!!!!!!!!!!!!!!!!!!!!!!!!!!!!!!!!!!!!! I'm feeling a LITTLE BIT jealous right now. Only a tiny bit. ;P Please post that review like, tomorrow, ok? Ok. haha! Aw, only 3 stars? :( I wanted ABOVE average, but I'll still give it a go at 3 stars. You totally don't have to feel jealous about Bourne because you can download it now for only $0.99! No more waiting! 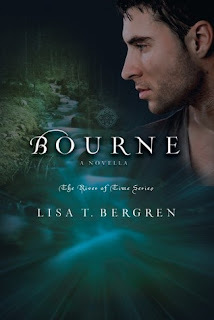 :D Bourne is on my TBR next just as soon as I finish another review book I'm reading. Can we have Tuesday Torrent so I'll read the second book? And then a day for the third one and I'm pretty sure I can do a novella on my own. And do we know anything about Tributary? Unless I firm up a date, I don't seem to be able to get it read! Anyway, that is one awesome mailbox! I hope you have time to read all that and get your packing done. Wish I could help you, but I'm sure you've got a system. Have fun both reading and packing! You got some awesome books this week! But I gotta say BOURNE!!!! I can't wait to read for you fangirl post- I mean, review of it!!! I and I can't wait for more info on Tributary :D I kind of miss Lord G. already. Oh, it looks like you got some fun middle grade titles! 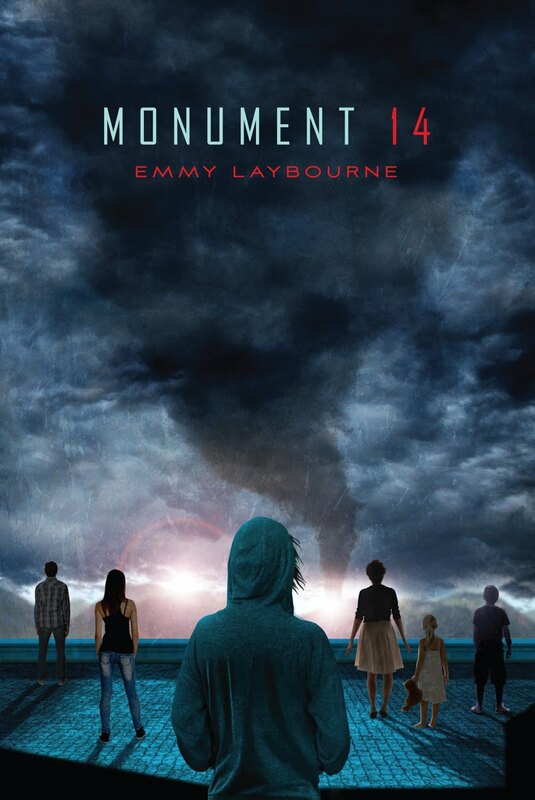 I'm really curious to see what you'll think of Monument 14, I finished that recently but haven't reviewed it yet. I hadn't heard of the gothic-meets-Titanic book either, so I appreciate the heads up, hah. Ooooh I can't wait to see your thoughts on Monument 14 (heading over to Goodreads to stalk your status updates...) I have such high hopes for it, but I'm so prepared to be disappointed. Small what a grand IMM. 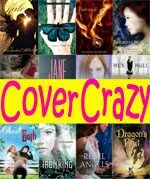 I love your layout and how descriptive you are with each book. I enjoy reading why you're interested in the book. Plus its really cool how you have them broke down into review books, books purchased etc. I think it makes it much more enjoyable to read through a long list. I was able to get Ordinary Magic too! I'm very amped up about it. I didn't request the map book, but maybe I can still? 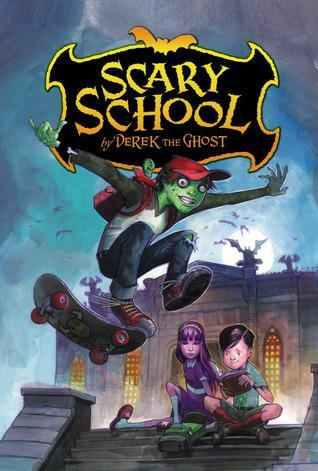 I was pitched a review of the Scary School too but I never got a reply. I think I took too long to get back to them. Thank you! You are the best feedback giver in the world! 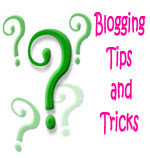 My blog would be so lacking without your input.